Food processing is any deliberate change in a food that occurs before it’s available to eat. This can start from the seed of the plant that the food is grown, to the soil, water, and fertilizer, and on and on. The era of food processing began about 2 million years ago when our distant ancestors put flame to food and discovered cooking. After that came fermenting, drying, preserving with salt, and other primitive forms of food processing. This ultimately led to the modern food processing methods of today. 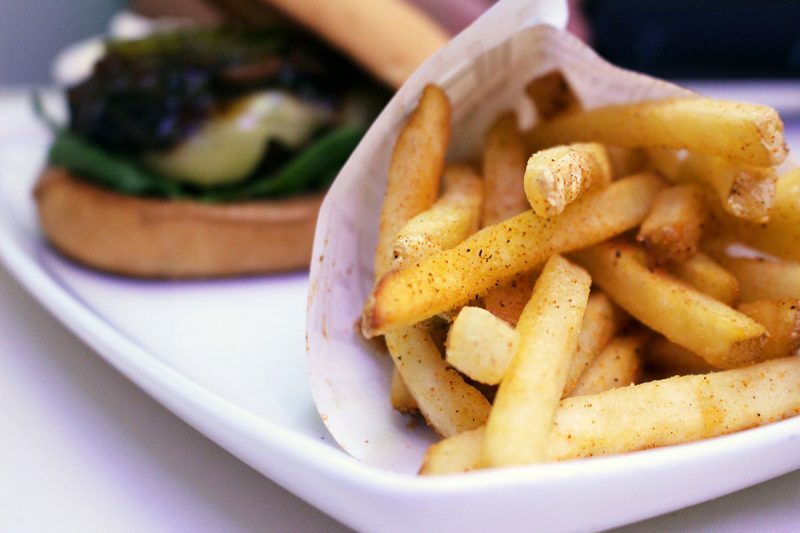 Processed foods can range from minimally processed items to more complex preparations and formulations (such as synthetic, chemical based formulations that do not occur naturally in our bodies), that combine ingredients such as sweeteners, spices, oils, colors, and preservatives, with many variations in between. When food is processed commercially, typically manufacturers will use heavily refined ingredients such as white flour. Refined white flour has had virtually all of its nutrition stripped away during the milling process, leaving only empty calories. The first image that comes to mind for most people when they hear the term “processed food” is a wrapped burger and a sleeve of fries served over a counter at a fast food joint. But the truth is, the very food you have in your cabinets is processed. If it is bagged, canned, jarred and has a list of ingredients on the label, it’s processed. Processed foods are more convenient – that’s what it comes down to. It’s so much easier to bake a cake by opening a box, pouring out a dry mix, and adding an egg and some oil than starting from scratch. But convenience isn’t the only thing you get when you eat processed foods. There is a whole list of ingredients that manufacturers add. How kind of them! Color – It gives your orange soda that neon glow. Stabilizers – So your gravy isn’t watery. Emulsify – Who says oil and water can’t mix? Bleach – Let’s disinfect and deodorize. Texturize – Nothing worse than soggy cereal.. Soften – It’s as if the ice cream was churned twice. Preserve – What if you want to eat the cupcake six months from now? Sweeten – Sugar is sweet but saccharin and aspartame are sweeter. Hide Odors – Do you really want to smell the fish paste in your instant Pad Thai? Flavor – Nothing like having the sweet taste of watermelon all year round. The FDA doesn’t require food manufacturers to list additives as ingredients that they consider Generally Regarded As Safe (GRAS). All the label has to say is “artificial flavor” or “artificial coloring” or (are you sitting down?) “natural?” Yes “natural.” The FDA doesn’t define the term “natural” on food labels, but generally allows the term if the food doesn’t contain added colors, artificial flavors, or other synthetic substances. What are these chemicals? They fall mostly into four categories. Antimicrobials inhibit the growth of bacteria, molds, and yeasts. They include the sulfur dioxide and sulfites used in fruits, fruit juices, vinegars, and wines: sorbic acid used in cheeses: calcium propionate and other propionates used to inhibit molds in bread and other baked goods: and sodium and other benzoates used to prevent fungal growth in beverages, fruit preserves, cheeses, pickles, and many other products. Benzoates occur naturally in cranberries, while propionates can be found in strawberries and cheeses. Antioxidants inhibit oxidation by air, which makes fats, especially unsaturated fats, turn rancid. They include sulfites (again), BHA (butylated hydroxyunisole), BHT (butylated hydroxytoluene), TBHQ (tertiary butylated hydroquinone), ascorbic acid (vitamin C), and propyl gallate. They’re used in potato chips, nuts, cereals, and crackers. Enzyme inhibitors slow spoilage by enzyme-driven reactions in foods. Sulfites (again) inhibit enzymatic degradation reactions in fruits such as raisins and dried apricots. Acids such as absorbic acid and the citric acid in lemon juice, deactivate enzymes, including the enzyme phenolase, which makes apples and potatoes start turning brown as soon as they are cut. Sequestrants gobble up trace metals such as iron and copper that accelerate oxidation reactions and cause discoloration. The most widely used agent used is EDTA or ethylenediamine tetraacetic acid (pronounced ETA-ill-een-DYE-a-meen-…oh., never mind). Okay, so some of these chemical names are hard to pronounce. But contrary to the opinion of some, that doesn’t make them evil. They’re all added in tiny amounts regulated by the FDA, and nobody eats them by the spoonful. A natural alternative to eating foods without preservatives is to eat the majority of your foods in their natural state (foods without an ingredient list!). It is a great reminder for your palate of the clean, crisp tastes of nature.